If you use Tokyo airport (Haneda or Narita) to come to Japan, you can access from anywhere. It is difficult to get a flight to Ishigaki Island in Summer, please reserve your flight as early as possible. 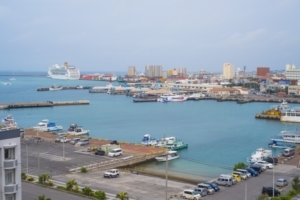 Ishigaki Island located in Okinawa prefecture, is a commercial hub in Yaeyama islands. It is world-famous for its beautiful beach,such as Kabira beach. It is difficult to go to Hateruma island directly in Day1 since sometimes local ferry is cancelled due to a weather condition. Stay one night in Ishigaki, and check local situation for going to hateruma. It takes 40 mins from center of Ishigaki island to Kabira Bay by car. It is world-famous place in Ishigaki Island, which is nationally designated as one of the “Place of Scenic Beauty.” along with Mt.Omoto Dake, highest mountain in Yaeyama islands. You can board on a boat with its bottom made by glass in order to see fish and coral. This is a largest cave in Ishigaki Island with 3.2 kilometers long (open only 660 meters for public). 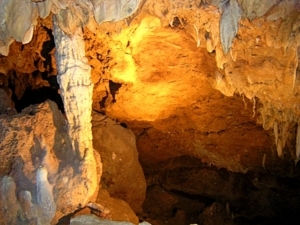 Even in summer, inside cave is cool and enjoy mysterious atmosphere in the cave. Approximately 30 mins to see throuhg the cave. Hateruma Island is a southest island with dwellers in Japan. Its name comes from meaning of “the farthest island of coral” with its unique shining with blue sea. A monument for japan’s southeast pole and a tower to observe star are popular sightseeing spots in Hateruma Island. It is also famous for southern cross which can be seen in sky even in the Northern Hemisphere. There are two options to go to Hateruma from Ishigaki Island ( no airport in Hateruma Island). It takes about 60 mins with 3,090 yen. You can reserve via website. But it sometimes cancelled due to weather conditions. It takes about two and a half with 1,540 yen (cheap!) The possibility of cancellation is lower than ferry. Please take a medicine for motion sickness before on board. 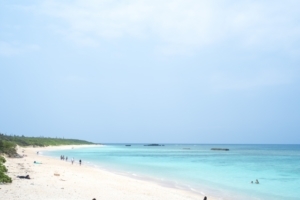 Taketomi Island is a small island with 9 kilo meters. From Ishigaki Island, you can get there with 10 mins by high-speed ferry. You can ride on an ox carriage for sightseeing in Taketomi island with unique townscape of red houses, white beautiful coral roads, vivid red flowers. 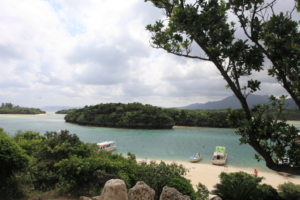 You can enjoy various of marine sports in Ishigaki Island at Kabira bay or Sunset beach. 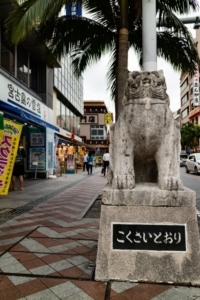 If you have time for transfer at Naha airport (Okinawa), please go to Naha city (Kokusai Dori, or International street) for shopping and eat something. It is totally different culture from Ishigaki and Honsyu island with busy streets.